The most remarkable difference is in the neck. The Grey-necked Wood-Rail's neck is completely grey as if a hood. 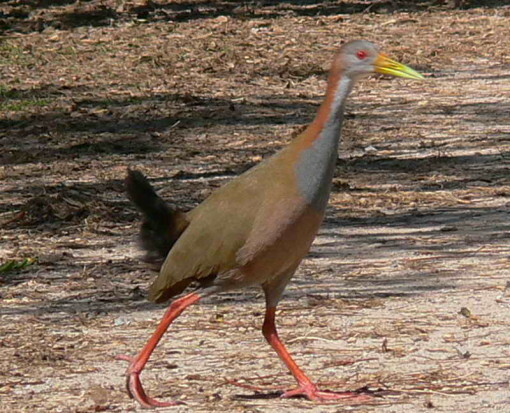 The Giant Wood-Rial is two-coloured and the grey of the front part also covers the breast. 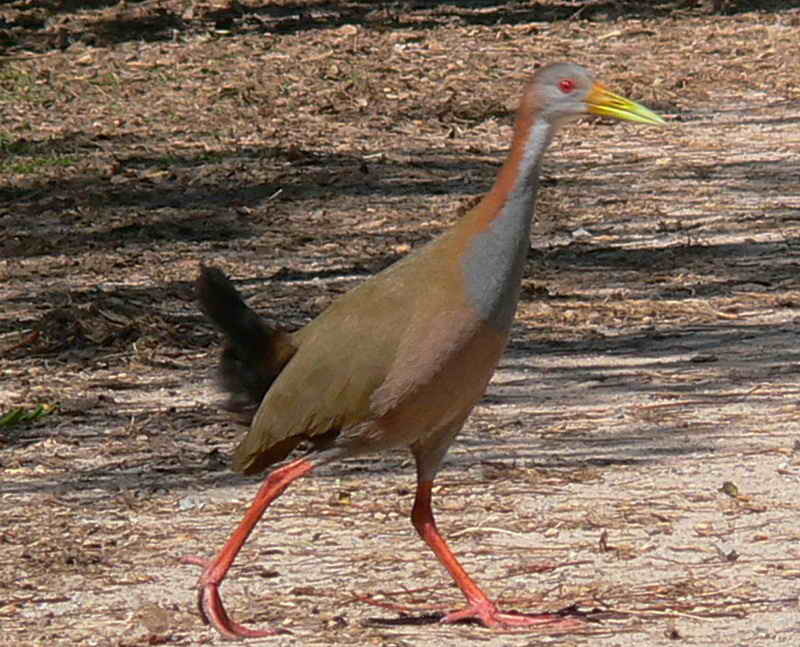 The rear part of the neck is chestnut. Its abdomen is rosy. 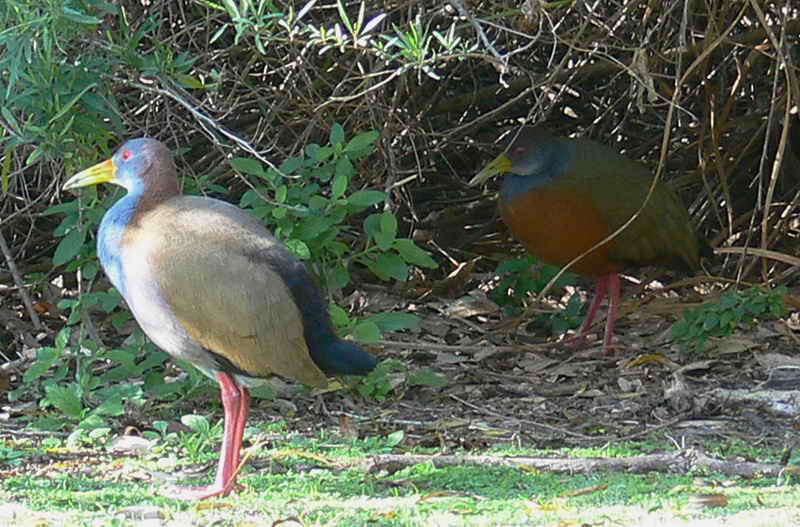 The Grey-necked Wood-Rail's breast and abdomen are rufous. There is a difference in size. 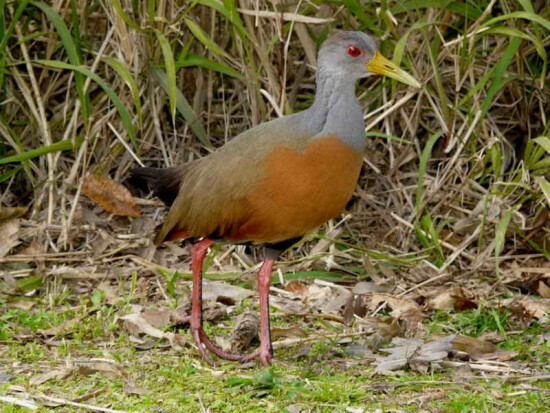 The Grey-necked Wood-Rail (36 cm) is smaller than the Giant Wood-Rail (42 cm). They frequent the same habitat and behave in a similar way.